Magnesium is an essential macromineral that performs a huge number of important roles in the body. It is responsible for regulating enzyme reactions (including reactions that create RDN and DNA), transporting essential ions across our cell membranes, assisting in the production of ATP and much more. All of our major organs require magnesium to function properly, and without it our bodies would spiral out of control. Despite its biological importance, however, the average person is seriously lacking in magnesium. In fact, according to the American Chiropractic Society, an estimated 68 to 80 percent of the American population suffers from a magnesium deficiency — a state of affairs which, if left untreated, can contribute to serious medical conditions such as osteoporosis, type 2 diabetes and cardiovascular disease. Consequently, it’s important that we all familiarize ourselves with the warning signs of a deficiency. 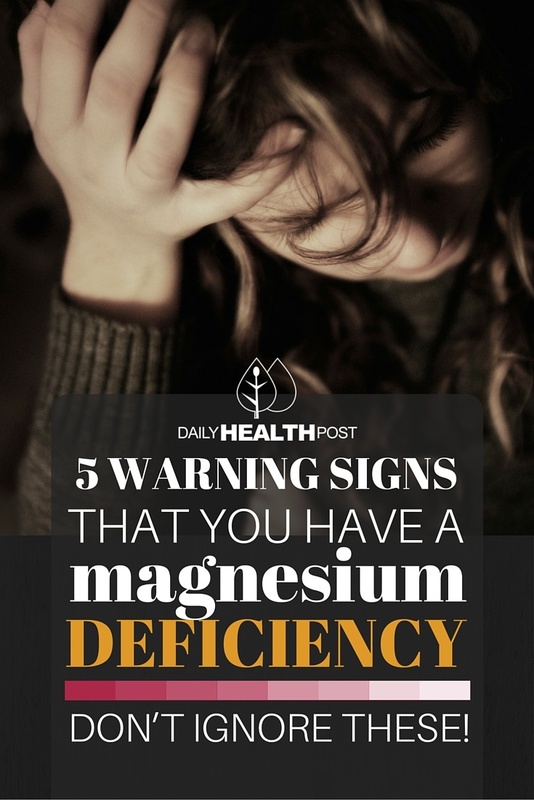 While the five conditions listed below are not the only signs associated with a lack of magnesium, they are by far the most common. If you suffer from these issues on a regular basis, consider taking a magnesium supplement (and eating more magnesium-rich whole foods, such as nuts and leafy green vegetables) and see if they subside. There’s a good reason why magnesium is found in sleep supplements and used to ease women in labor; magnesium is the mineral that allows our muscles to relax. When we are deficient in it, we begin to suffer from muscle-related issues such as cramping, twitching and facial tics. In the most extreme cases, the twitching and cramping can contribute to chronic insomnia. Low magnesium levels also have a negative impact on our heart muscles. According to a study published in a German journal, magnesium helps maintain regular muscle contractions in the heart. When we’re lacking in it, we begin to suffer from cardiac arrhythmia (irregular heartbeats), which increases our risk of heart attacks and strokes. Over a century ago, it was common for doctors to prescribe magnesium supplements to patients suffering from depression. Today, the link between insufficient magnesium intake and low moods has been somewhat forgotten, even though numerous studies reinforce it. For example, a review published in the journal Pharmacological Reports in 2013 concluded that magnesium supplements were effective at managing depression. Tinnitus is an unpleasant condition characterized by a persistent ringing or booming sensation in the ears. Though tinnitus is sometimes caused by infection, it can also be caused by unregulated production of glutamate, an important neurotransmitter that magnesium helps regulate. Therefore, instances of tinnitus in otherwise healthy ear canals could be caused by low magnesium levels. Most people believe that kidney stones are caused by an excess of calcium. However, ongoing research continues to show that a lack of magnesium plays an equal, if not greater, role in kidney stone formation, and that taking magnesium supplements can help treat them. For example, a study featured in The Journal of Urology showed that patients treated with magnesium hydroxide experienced decreased recurrence rates of renal calcium stones. 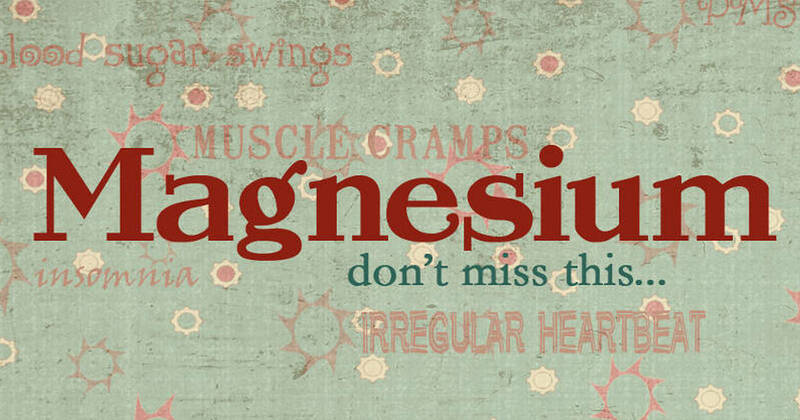 Therefore, if you’re suffering from kidney stones, see if increasing your magnesium intake helps.